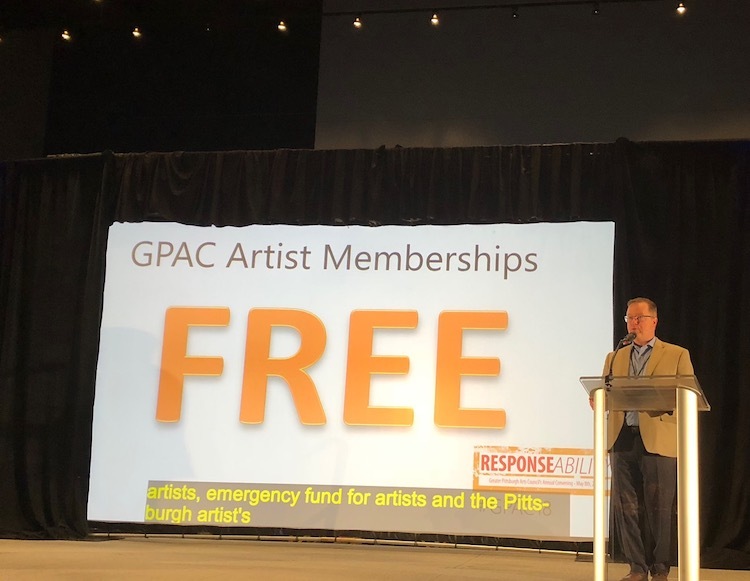 GPAC CEO Mitch Swain announces free memberships for artists at the event on May 8, 2018. Photo by Tracy Certo. In the last year, 24 million people in the region attended an arts event at one of 200 arts organizations. That kind of attendance is driving the $2.4 billion in economic impact from the arts in this region. That was the good news reported at the annual meeting of the Greater Pittsburgh Arts Council (GPAC) yesterday, which touted those numbers along with the newly revamped Artsburgh website (they promise it’s much better than the old site). They also announced a new resources website for artists in June featuring “I’ve got/I need” matching, jobs, audition calls and funding opportunities. He also cited the Art on the Walls program, which has local artwork hanging in the Mayor’s office, at the Allegheny Conference and soon, at the offices of VisitPittsburgh. All the art is for sale and the program has been responsible for over $50,000 in art sales so far. More happy news? Membership to GPAC is now free. That includes things like free happy hours. Free networking. Even free anti-virus protection for your computer. GPAC’s CEO Mitch Swain speaking at Tuesday’s event. 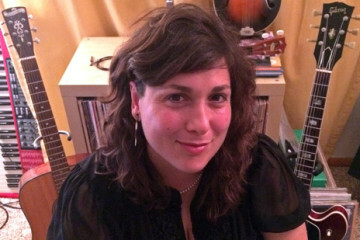 The 52-page report was released with a panel discussion yesterday featuring people who worked on the report along with Nadia Elokdah from Grantmakers in the Arts, the national arts service organization. The research and report were prompted by GPAC’s 2016 survey of the region’s arts community that showed that 84% of non-white respondents thought that Greater Pittsburgh’s arts funding was inequitable. 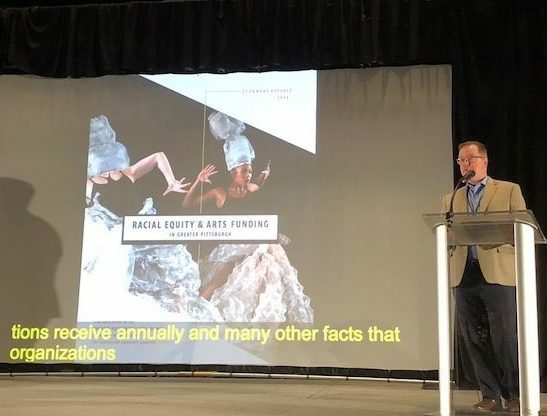 “Racial Equity and Arts Funding in Greater Pittsburgh” is the result of a yearlong study of hundreds of arts organizations. The research was convened by a group of 12 local arts leaders, researchers and funders who formed the Learning and Leadership Committee under the auspices of the Greater Pittsburgh Arts Council. The committee was comprised primarily of people of color who informed the core questions, frameworks and context for the research, which was conducted by GPAC. 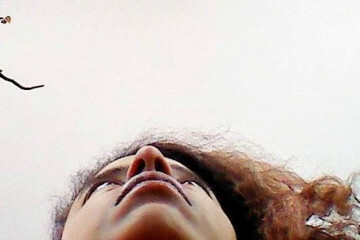 The report reveals a stark contrast between funding for white-majority organizations and ALAANA (African, Latinx, Asian, Arab and Native American) organizations, with key findings including disparities in the number of arts grants, total amounts of funds, and the average amount of grant dollars received by ALAANA organizations when compared with white/non-Hispanic organizations. GPAC sees this work as part of their long-term commitment to racial equity in the arts and in our communities. The study and report were funded by a grant from the Advancing Black Arts Program of The Pittsburgh Foundation and The Heinz Endowments. There are no easy answers, she noted. We need will, advocacy, new thinking, new collaborations, deep understanding and a commitment to equity.